Where can you travel to see geysers shooting 40 feet into the air, feel the heat and smell the sulphur from active geologic bubble pots, watch puffins frolic and whales spout, swim in hot springs, and see glacial fragments float past on their way to the ocean? No other place than Iceland! Have you wished to see the Midnight Sun? It is definitely an amazing sight and one definitely not to be missed. Some of the highlights of the two weeks in Iceland include visiting Pingvellir National Park (where the North-American and European continental shelf plates are being torn apart), Myvatn (a lake region near Akureyri in northern Iceland where there are numerous volcanic craters), Gullfoss (or better known as “the Golden Falls,” where you can see a double cascade of water), Geysir (the geothermal hot spot which gave the world the term, “geyser”), and Jokulsarlon (the majestic glacial lagoon near Hofn where several movies were made, including the James Bond film Die Another Day). Cities located near the Ring Road we will visit include Reykjavik (the capital of Iceland and her largest city), Akureyri (the capital of the North), Hofn (the main town on the southeastern coast), Husavik (one of the world’s most reliable whale watching site during the summer), Selfoss (South Iceland’s largest town and hub of the main agricultural region), and Vestmannaeyjar (a cluster of islands and town in Southern Iceland). 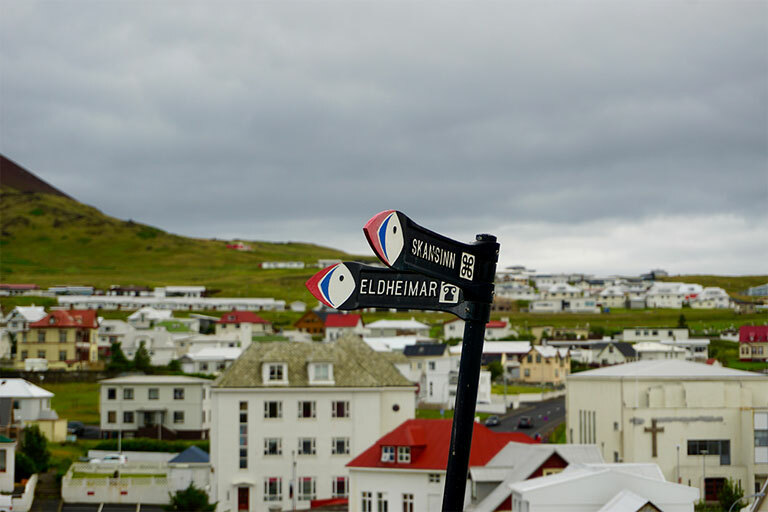 We will fly into and out of Keflavik, the location of Iceland’s international airport. 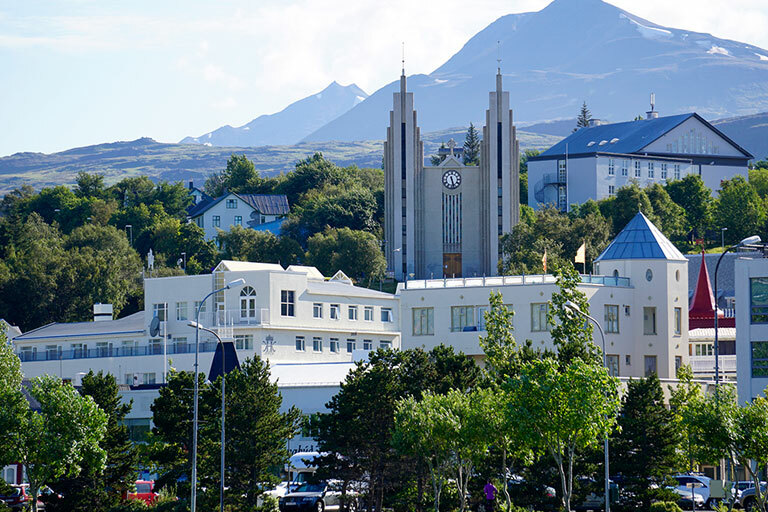 Our home away from home for most of the trip will be at Holar University College, nestled in between two large mountain ridges in the north central region of Iceland. Applications are due February 1, 2019 and a non-refundable deposit of $300 is due February 15, 2019. Balance must be paid in full or by commitment from Financial Aid by May 15, 2019. 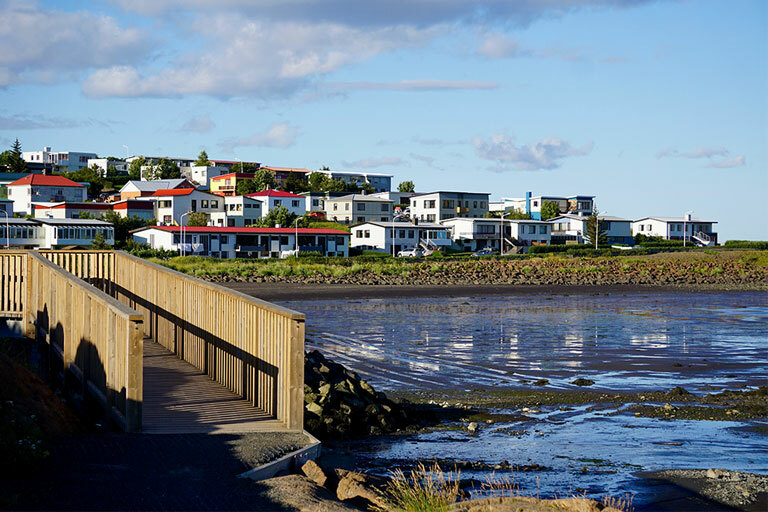 City view of Borgarnes, a town located on a peninsula at the shore of Borgarfjordur in Iceland. 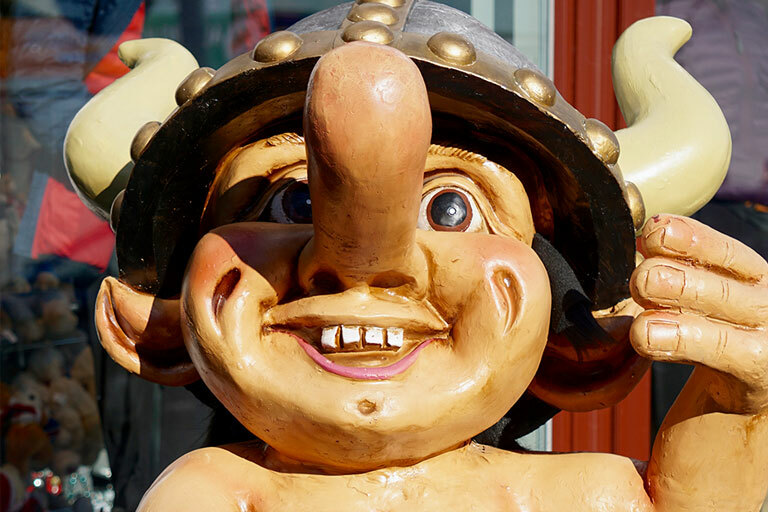 Iceland’s capital, Reykjavik, is 69 kilometers from the center of Borgarnes. Jokulsarlon Glacier Lagoon filled with large chunks of ice. 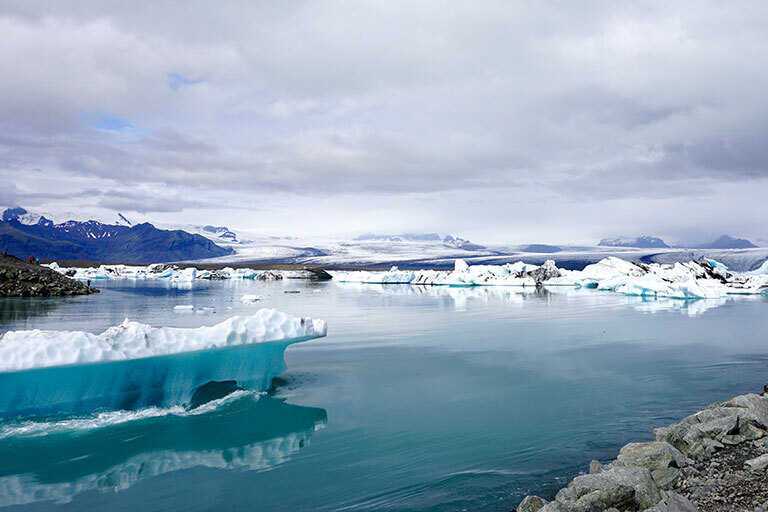 This has become one of Iceland’s most popular attractions due to its immense beauty. The nearby black beach is called Diamond Beach because the ice chunks resemble diamonds glistening in the sun. 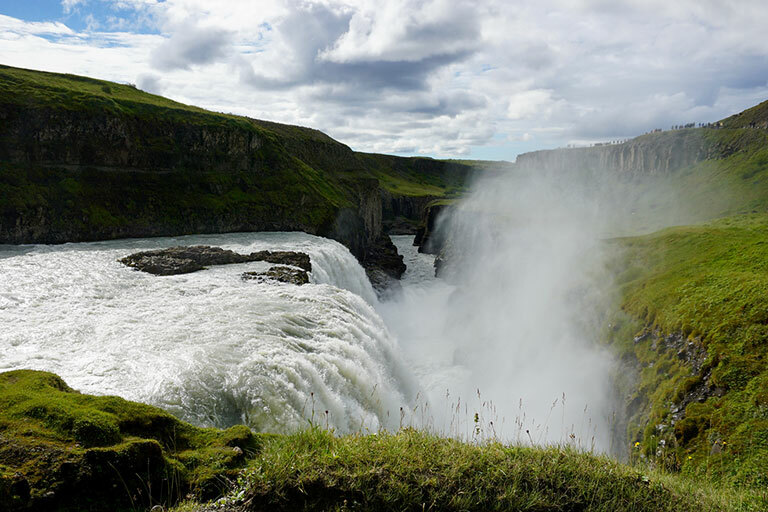 Gulfoss, otherwise known as the Golden Waterfall, is an iconic waterfall offering a spectacular view of the forces and beauty of untouched nature. The water plummets down 32 meters in two stages into a rugged canyon with walls reaching up to 70 meters in height. Heimaey is the largest Icelandic island in the Vestmannaeyjar archipelago, and the largest and most populated island off the Icelandic coast. It is home to around 4,500 people and eight million puffins! 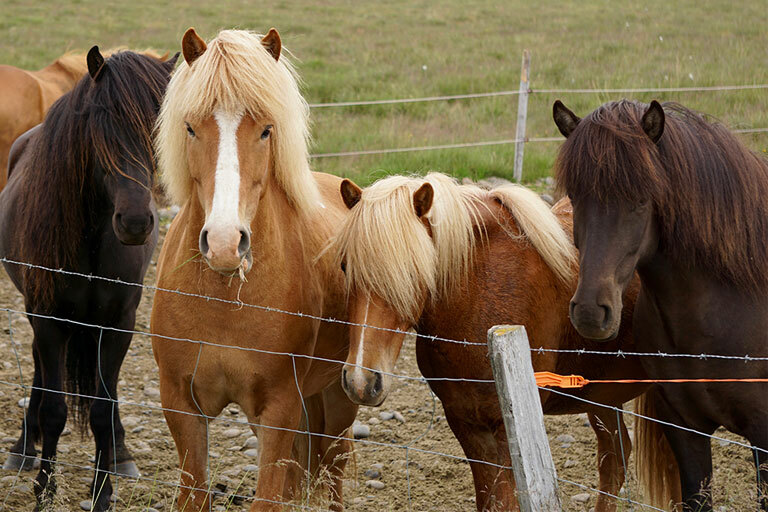 Icelandic horses are a specific breed developed in Iceland. They are hardy and have two additional gaits to the typical walk, trot, and canter/gallop commonly displayed in other breeds. Hot springs in Geysir where the first geyser was seen by modern Europeans. The English word geyser derives from Geysir. 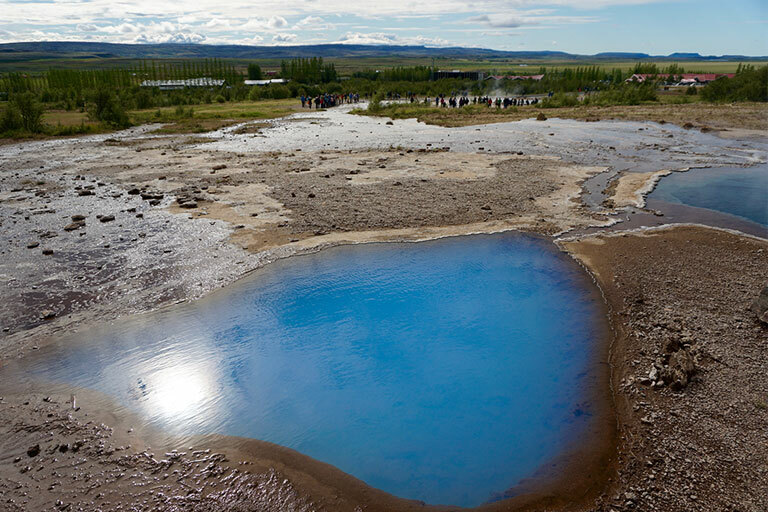 The Kaukadalur valley is also the home to Strokkur geyser which can hurl boiling water up to 70 meters into the air. 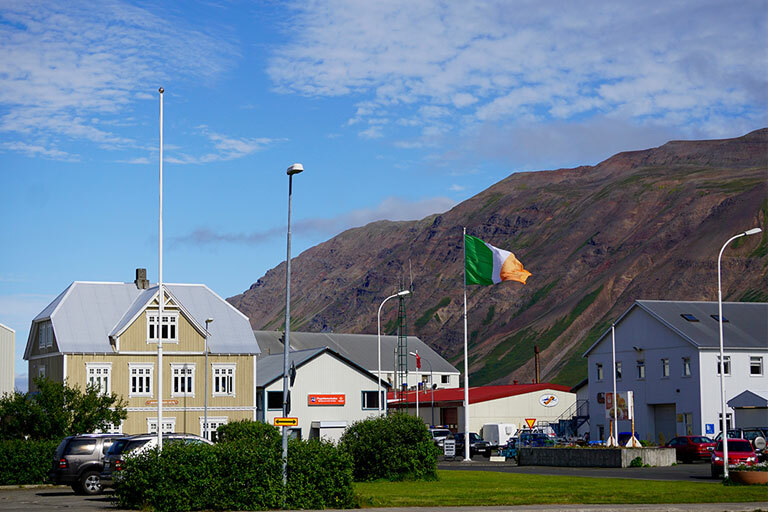 Siglufjordur is a small fishing town in a narrow fjord on the northern coast of Iceland. This is the site of the Herring Era Museum which opened in 1994. 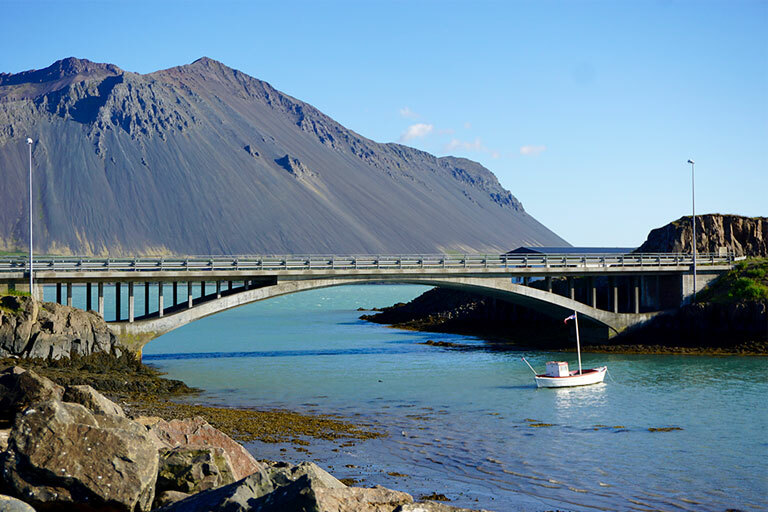 The road to Siglufjordur is the highest mountain road in Iceland and is used today for pleasure driving. 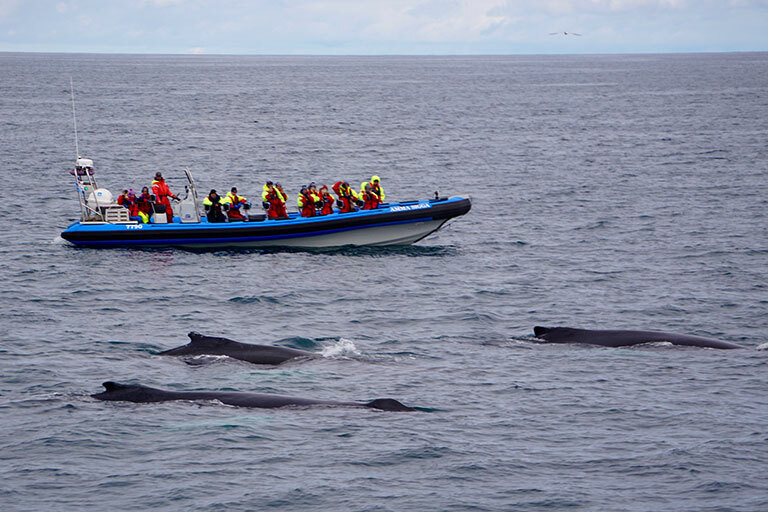 Whale watching is a popular tourist attraction, especially in Northern Iceland. 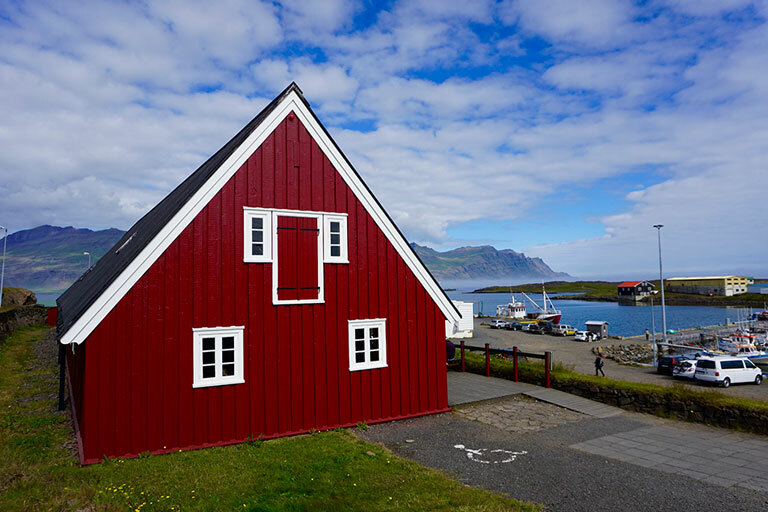 Husavik is renowned for its whale watching opportunities and Skjalfandafloi Bay is one of only a handful of places in the world where the blue whale, the largest mammal on earth, is known to visit regularly. Monuments are found throughout the Ring Road commemorating heroes and heroines of Iceland. 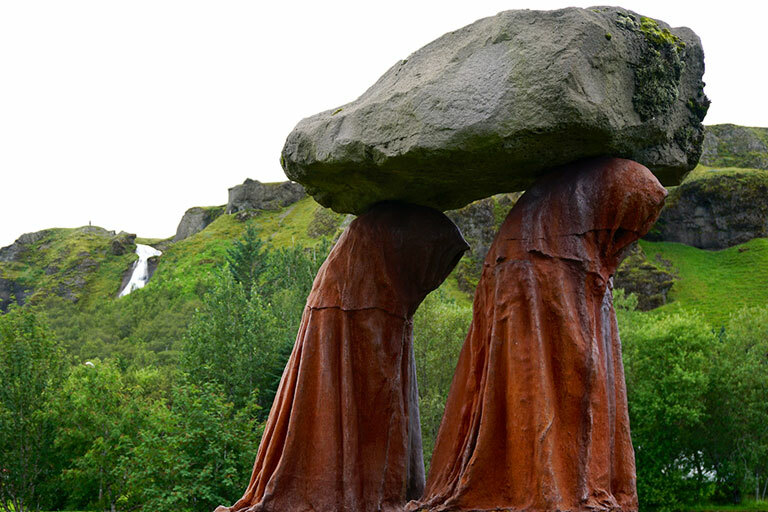 This particular monument is located in Hofn, near the Jokulsarlon Glacier Lagoon. 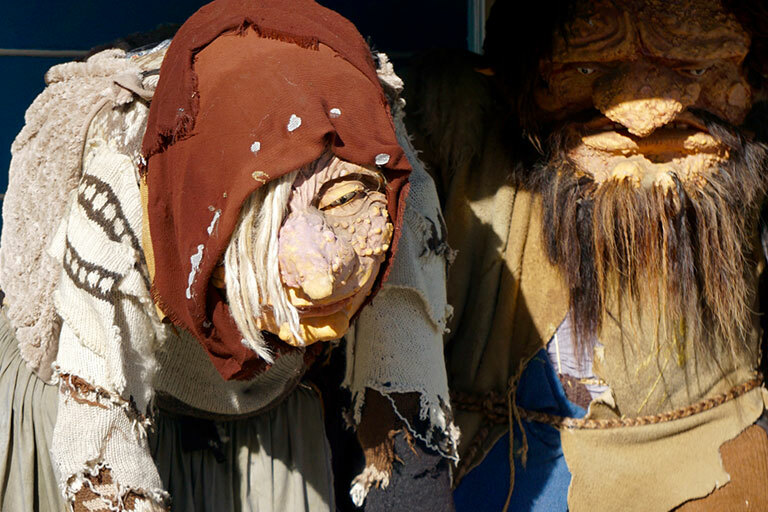 Interesting items appear along the Ring Road. 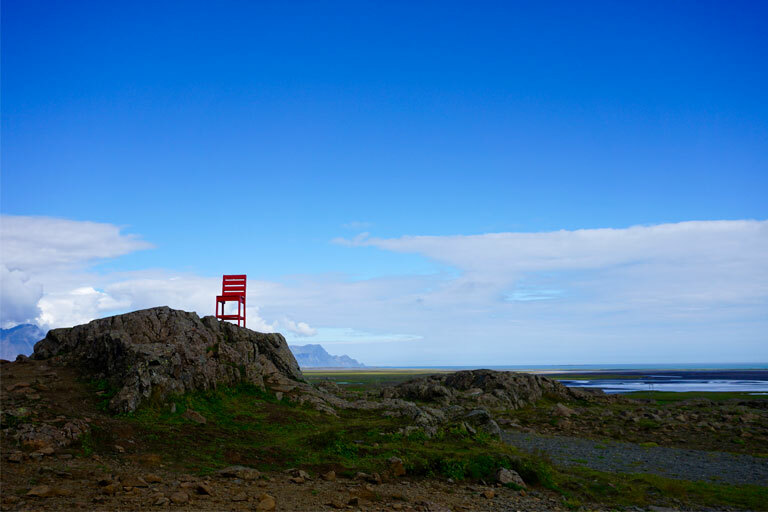 In this particular scene, we came across a red chair perched on top of a hill. In another location down the road, someone had placed a television set and a couch just off of the road. They both beckoned tourists to stop and take pictures. Eskifjordur is a town and port in Eastern Iceland. It boasts a rather large fishing industry. 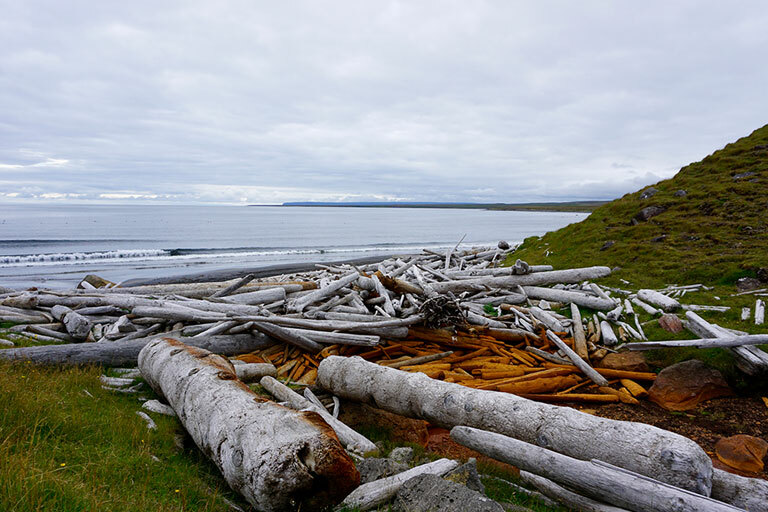 Driftwood having washed up on the northern most shore in Iceland provide us with an opportunity to explore and wonder where they originated. 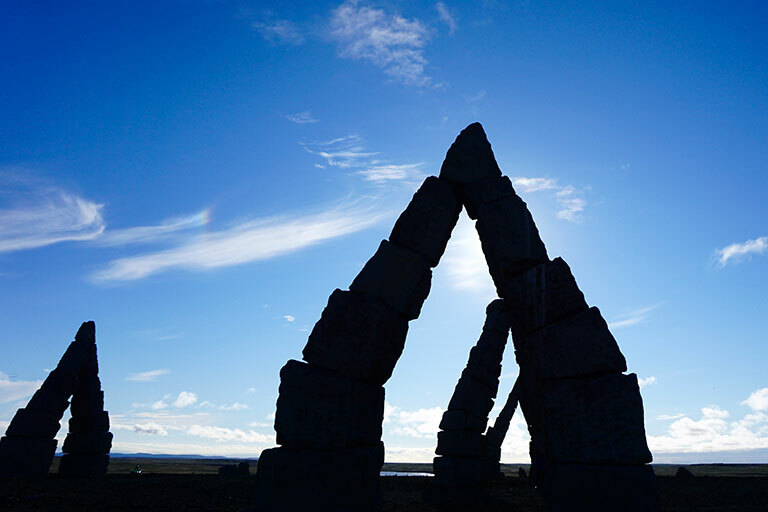 Iceland also boasts of having the Arctic Henge, a newly-built monument for the island’s Pagan worshippers, the Asatru. Similar to its predecessor, Stonehenge, the Arctic Henge is like a huge sundial. 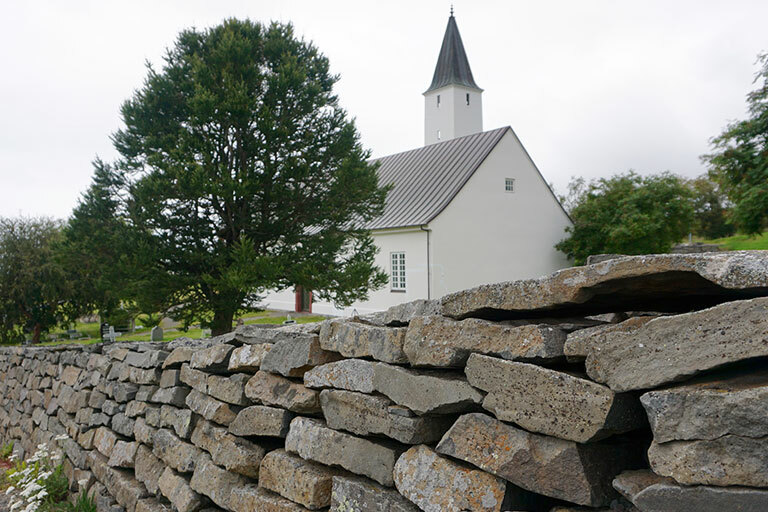 It is located in one of the most remote and northernmost villages in Iceland. The church located on the grounds of Holar University College is a reminder of earlier times when Holar served as the last stronghold of the Catholic Church during the Reformation. This cathedral is the oldest stone church in Iceland.